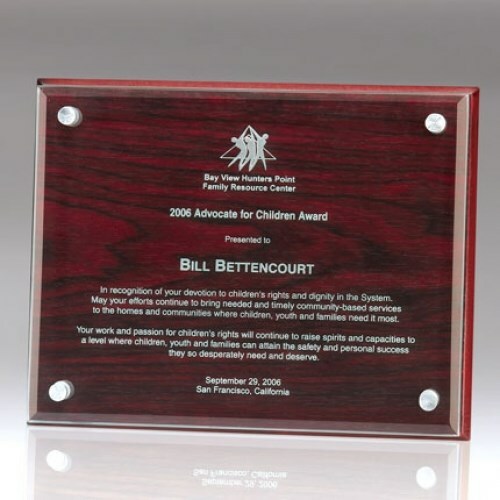 The Cantebury Plaque Sets with black piano finish are available in two sizes and truly an elegant way to display awards or remembrances. The provided glass inset laser engraves a frosty white tone and is floated with the provided brass pins above the highly polished plaque. The Cantebury Plaques can be wall mounted either vertically or horizontally and a Plaque Stand is available for desktop display.